Much like using a firearm, accuracy and precision are critical in the manufacturing of firearm and gun components. To obtain the required precision and quality, gun manufacturers should consider working with a gun part manufacturer that uses state-of-the-art Swiss-style CNC lathes, that can provide multiple-axis machining capabilities, and that can produce the incredibly complex firearm part geometries, often required by the gun industry. Due to the highly regulated nature of the firearms industry, quality control and consistent, detailed documentation is of utmost importance. We take this matter seriously at Millennium Precision. Our ISO 9001:2015 certification assures our customers that we take great pride in our quality control procedures. Our commitment to quality ensures that every part that leaves our facility meets the required level of precision and quality of our firearm and gun manufacturing customers. We understand, here at Millennium Precision, that both material choice and surface finish is of utmost importance to our customers looking for precision gun parts. At our gun part machine shop, in Manchester NH, our production capabilities allow us to deliver low lead time of 2-8 weeks and a maximum production volume of 100,000 items for our customers who require firearm part machining. Also, we can meet the specific requirements of our customers for production scaling without sacrificing quality. Finally, our production capabilities allow us to maintain tight production tolerances (as low as ±0.0001 in. ), typically required in the manufacturing of gun parts. In an industry where outsourcing manufacturing has proven to be a successful business model, Millennium Precision is prepared to provide the manufacturing solutions required to create high-quality firearm products. We also offer engineering support to our customers to ensure they have all the resources they may need, as well as unique inventory management services to ensure proper product tracking through the manufacturing and transportation process, helping to ensure parts are always available throughout the gun manufacturing process. 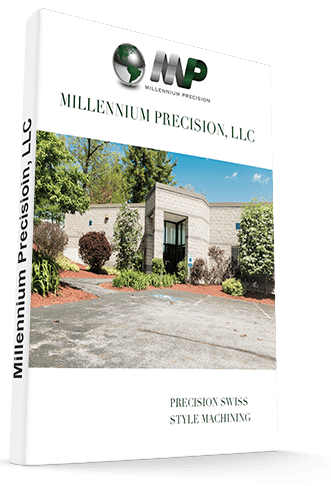 Millennium Precision has the resources to supply turnkey custom gun machining components that require additional services such as heat treating, plating, grinding, polishing and electroplating. Over the years we have built a strong network of suppliers in the industry that are always willing to support what our customer needs. Our supplier base is one of the best. Feel free to contact us to learn how we can help on your next firearm or gun part manufacturing project.